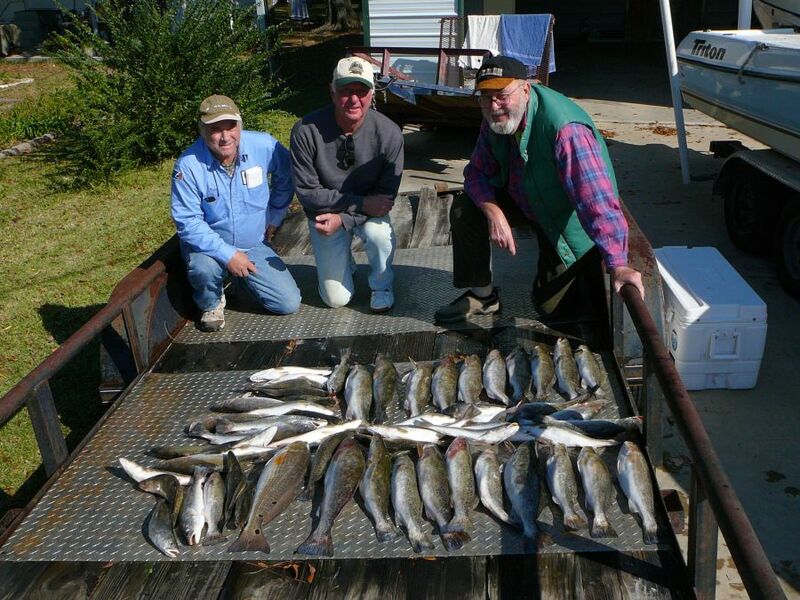 November 25,2008 Howard L & Brother Edward, Friends Curt & Fred Limit by 9:30!!!! Take It To the Limit (On Big Lake) One More Time!!!!! Tuesday , November 25, 2008 Another great Limit By 9:30 Am. Just One More FANTASTIC Day On Big Lake!!!! November 22, 2008 Stanley, Jack & Warren Find The Big Ones!!!!!! November 20, 2008 Larry, Terry and Don Limit at 9:39 Am!!!! 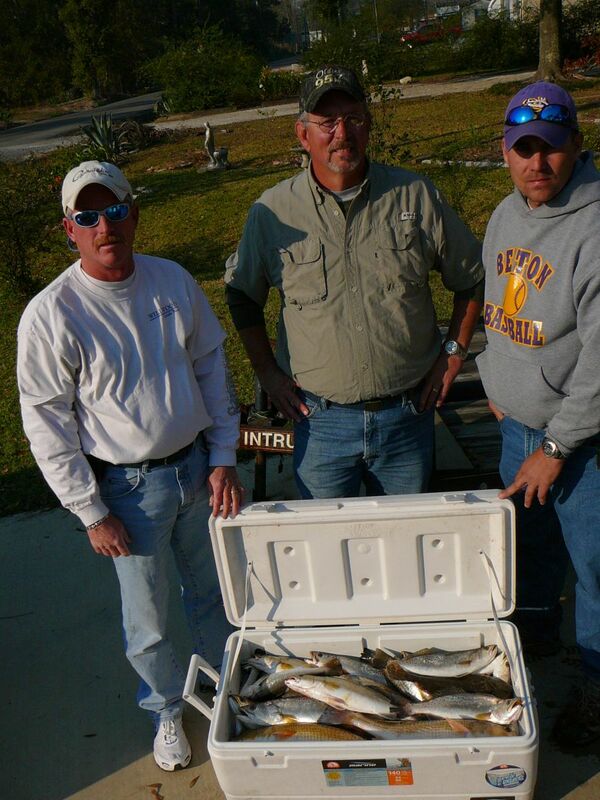 November 20,2008 Larry, Terry, and Don have a great Day with 60 Trout by 9:30AM and 5 Nice Reds and 1 Flounder. 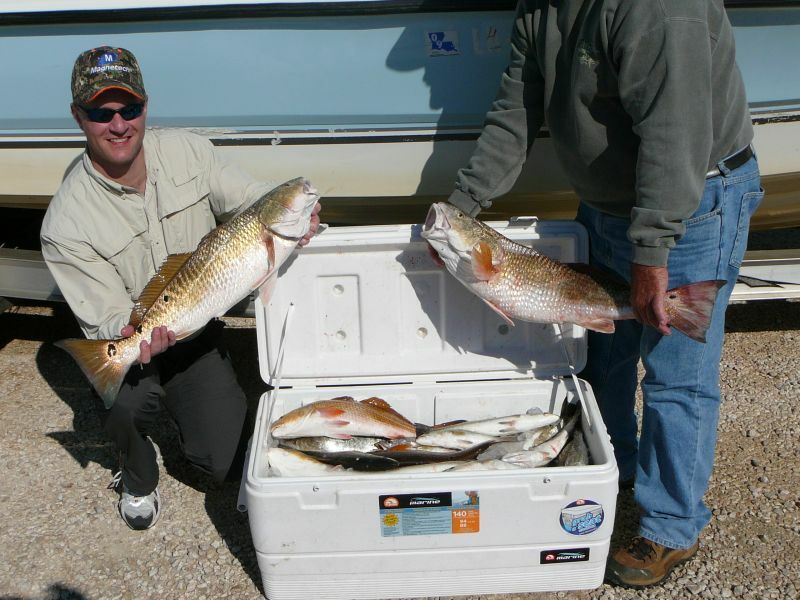 Gulp Under a cork caught most of the Trout and 3″ Gulp Shrimp Natural caught the Reds. 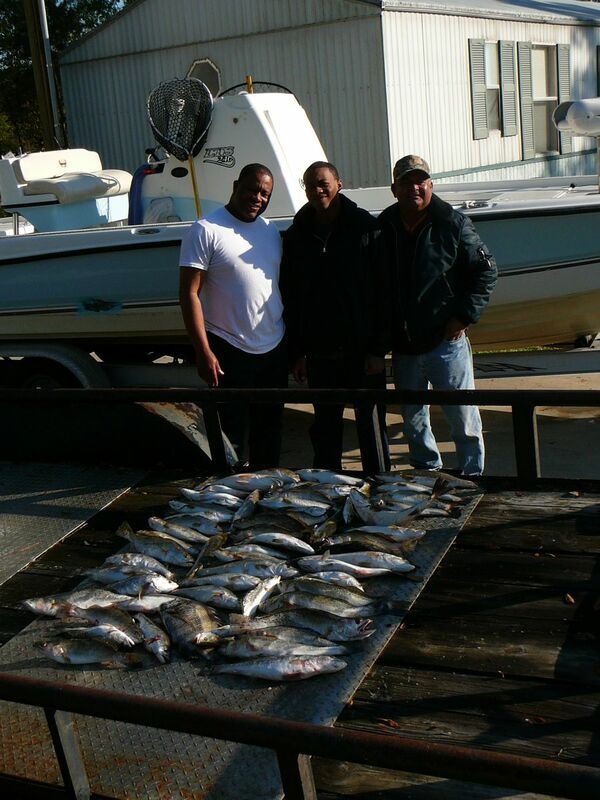 November 19,2008 Walley C. & Friends Chandler Sr. & Jr Catch a Limit!!!!!! 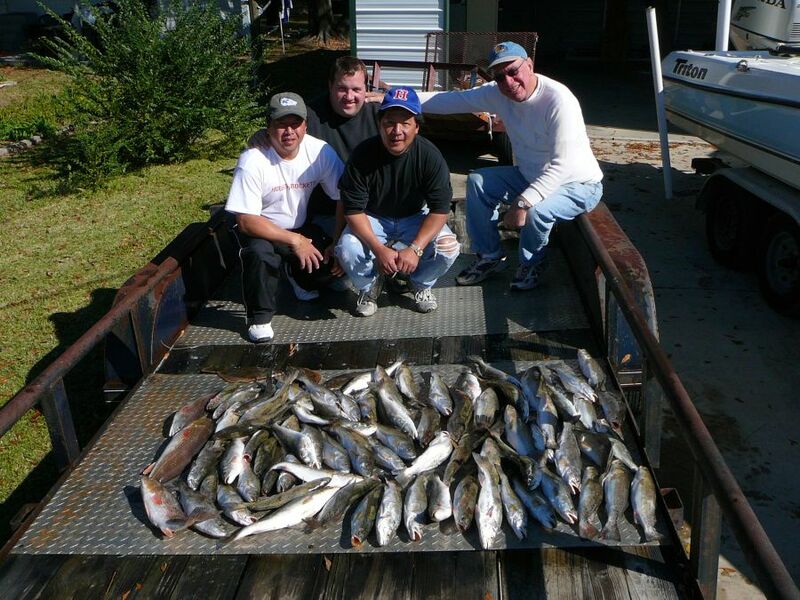 November 19,2008 Walley C of Houston Makes his 3rd trip This year to Big Lake and it was his best! He brought his friends Chandler Sr & Son Jr. They said it was their best trip ever and they wiil be back soon! Walley led the way with big Trout of 21″ and several 19’s. 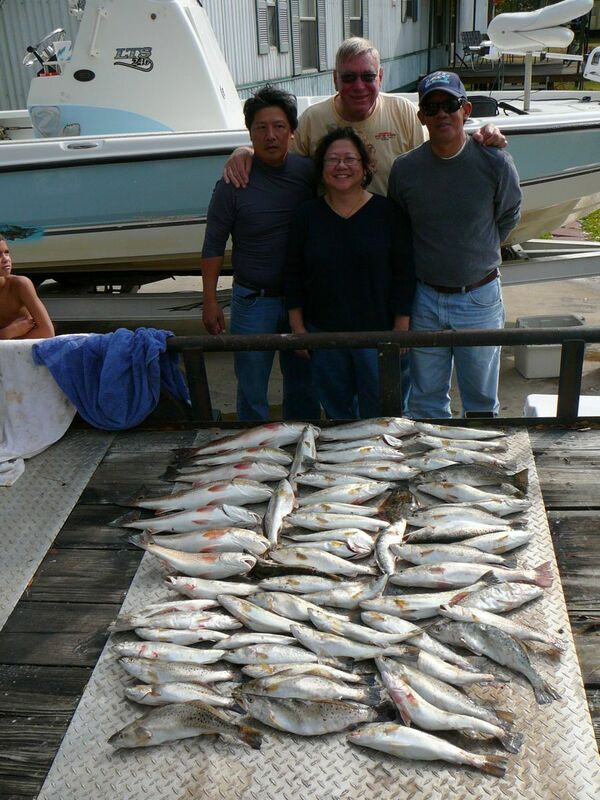 But everyone caught their Limit! 20mph Winds Can’t slow Calcasieu Bite!!!! !